"The entertainment experience of a lifetime." This epic film has adventure, drama and tenderness set against a Christian backdrop. Judah Ben-Hur is a wealthy merchant during the Roman Empire. Falsely accused of injuring the territorial governor, Judah is sent off as a galley slave; his mother and sister are imprisoned. Judah survives the galleys and returns to Jerusalem as the adopted son of a Roman. He discovers his mother & sister are not dead, but cast into the valley of lepers. Along the way, he meets a young Jew teaching faith and salavation. This same young man gave him a simple drink of water in the desert. The crucifixion of Jesus brings about a change in Judah; his heart is opened and he no longer seeks revenge. 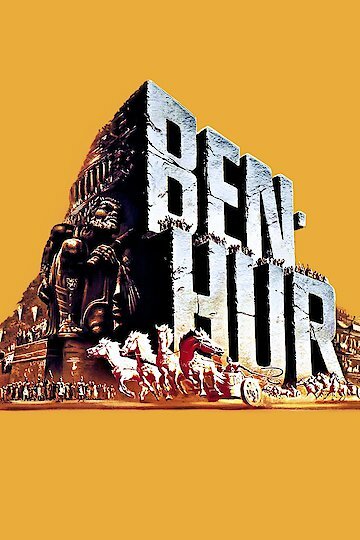 Ben Hur is currently available to watch and stream, buy on demand at Amazon, YouTube VOD online.